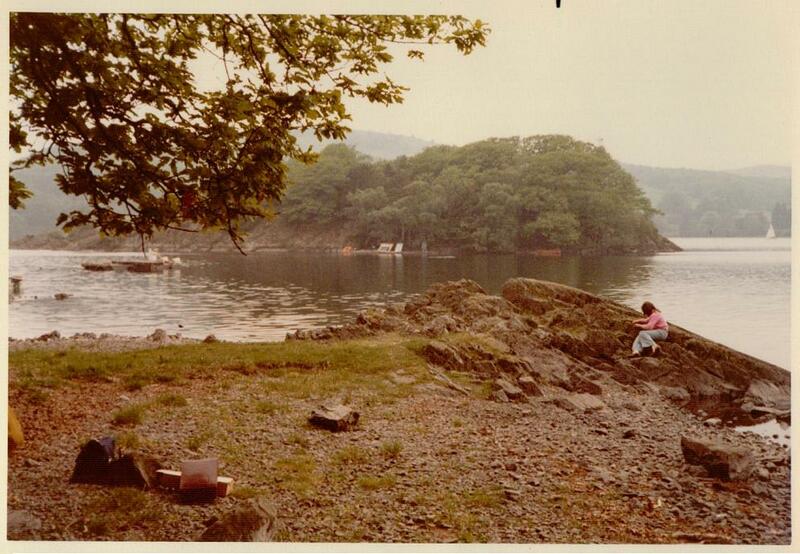 I must have lost my pen on this wet day in May 1973, for the diary on the making of the film ‘Swallows & Amazons’ is written in pencil. I don’t know if Claude Whatham, the Director, ever remembered me writing but when the film ended he kindly sent me an engraved Parker pen and propelling pencil. I loved the pen and wrote all my essays at university with it. Sadly I lost it just before my Finals but I still have the pencil. Somewhere. Although we had a late start it was a good day, a day when Claude encouraged us to improvise. The dialogue in the little scene when we were gutting fish is our own. I’ve always thought improvisation can be magical. When I started to direct at the BBC we were very conscious of the cost of film stock – the footage – so were reticient about taking chances, but I made a drama on school bullies that turned out to be very powerful, purely because I let the children improvise. The only problem was that it came across as almost too frighteningly real. I found that although short scenes always worked well, I had to write the story as a whole as I went along, which was a bit daunting. When I went on a BBC Studio Director’s Course I tried improvising a scene where a couple go camping in true Mike Leigh style. I asked the actors to erect a tent in the studio, and left them at it while I spoke to the Cameramen from the galley, as normal, via inter-com with the Vision-Mixer at my side. She also improvised. The scene was to end with the couple going inside the tent, which then collapses on top of them. I used a dome tent of my own and I showed them just how easy it was for them to collapse it. It was quite fun, and worked surprisingly well. Up to a point. The problem was that I was working with actors and the actors, being actors, enjoyed themselves so much they didn’t want the scene to end. It nearly didn’t end at all. And I ended up with the longest studio show reel of all time. Suzanna Hamilton was very good at gutting fish. She is not a remotely squeamish person, in fact she loves snakes and other reptiles. A stoic, who would valiant be ’gainst all disaster, she is probably the most gutsy film actress there is. No fuss or over long scenes for her. I was more interested in examining the the high dorsal fin of the perch and could have spent all morning standing on the rock. I seem wired to illustrate stories. I am sure Arthur Ransome used a line drawing of one of the perch he caught. 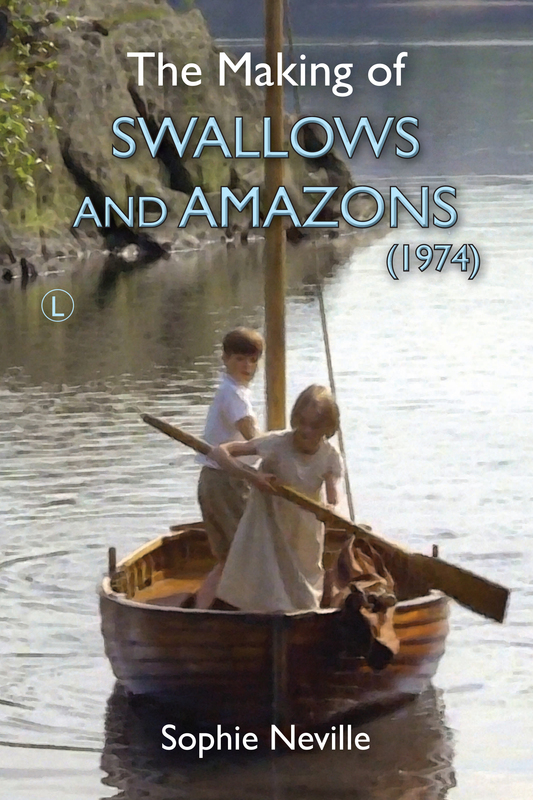 Is it in Swallows and Amazons? Claude did not shoot many ‘takes’. His aim was to get fresh performances. By this time he had started to film the rehearsal, and then one ‘take’ as a back-up, to give the Film Editor an option. Then he would change the camera angle. It is probably a good policy when filming with children – as charm is difficult to replicate. When I started to direct on Beta-cam I attempted to shoot quite long scenes on one shot by using ‘jib-arms’, small cranes or camera track to move the camera. This was all the rage in the late 1980s. I remember using one long shot for the opening scene of a comedy drama called Thinkabout Science that starred Patsy Bryne ~ she who had become known to the nation as Nursie in the BBC sitcom Blackadder . Patsy played a grandmother collecting two sisters and their friends from school. The children poured out of the front door, down some steps, met their granny and chatted to her as they skipped along the pavement. I had about 120 metres of camera track laid down the street, far more than any scene on Swallows and Amazons. We had a rehearsal and shot the three minute scene. It worked perfectly. It was fresh and funny and active. I was all set to move the whole crew to the next location when my producer descended from the Scanner, the truck where she was watching on three monitors, to tell me that one of the Extras had waved at the camera. I should have recorded the rehearsal. It took us twelve more takes to get the scene right after that. Luckily Beta tape costs were negligible – certainly in comparison with the 35mm Technicolor stock that Claude was using. Richard Pilbrow must have been pleased to hear that we gained a reputation as ‘One take Wonders’ on Swallows. When it came to the scene when we returned to the camp to find the abrupt note from Captain Flint, Claude took me to one side and suggested I added a line of dialogue at the end when it came to the take, without letting the others know. He told me to say, ‘And he used my crayons too.’ I wish he had edited it out. I didn’t deliver the line well. I think Suzanna would have said it perfectly but the secret made me too self conscious.